It’s the time of year when one’s thoughts turn to what to treat oneself to over the festive period. Let’s make no bones about it – although it’s an absurdly over-privileged, first world thing to say and we should all be thankful that we have a roof over our heads and food on the table – the holiday season can be a bit of a trial nonetheless. The weather’s as grim and pitiless as two middle-aged codgers fighting over the last tamagotchi in the shop. There’s the strange blend of tension and ennui resulting from forced jollity and long periods of time spent in close proximity to our loved ones. The weltschmerz occasioned by the continuing existence of The X-Factor. However, we all need to count our blessings and be very thankful for what we’ve got. And a good bottle of whisky, used responsibly, will definitely help promote feelings of wellbeing. Here’s what TWE blog will be indulging in this Christmas. 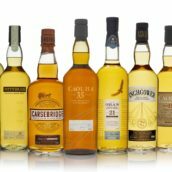 Please note, this isn’t a list of our best whiskies of 2012 – that will have to wait for the next edition of the TWE Blog Awards in February (if you can bear the excitement). Anyway, to get us all in the mood, here’s James Brown, creator of the best Christmas music ever made (and yes, I include the overrated Phil Spector album in that statement). 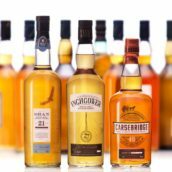 It’s egregiously immodest of me to say so, but almost all of my favourite whiskies of this year have been bottlings by TWE or our sister company Speciality Drinks Ltd! 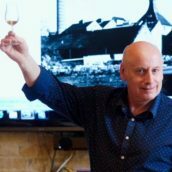 Normally we drip-drip a few different bottlings at a time throughout the course of the year, but in 2012 we pretty much kept our powder dry until The Whisky Show in October, where we totally blitzed it with over a dozen new releases. This amazing abundance encompassed some new releases from Single Malts of Scotland, Elements of Islay and Port Askaig as well as some special Show bottlings in our famous retro-inspired labels, and included fantastic releases from the likes of Glenrothes, Springbank, Glenlivet (a wonderful dram from our friends at Berry Bros & Rudd), Ledaig and Glentauchers. But it was our Rosebank and Caol Ila that were my favourites at the Show (in no small part because I helped select the casks for them, admittedly), and a few months on the Caol Ila is still one of my favourite drams of the year, and one I’ll definitely be pulling it out in the aftermath of the Big Lunch this year. Nose: Lovely wet slate minerality, along with a fresh grassy / leafiness, seashells and brine, then a familiar creamy citrussy note like lemon meringue pie. Also very oily, with tarry notes and a thread of sooty smoke. Becomes quite spongecakey with a healthy drop of water. 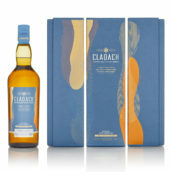 Palate: Lemon burst, creamy vanilla, then massively oily and minerally – gravel, wet slate, and then becoming very earthy. A gust of woodsmoke and sootiness, then the citrus reappears – very tart lemon juice. Big and dirty at full strength, with mouth-coating phenols and a hot spicy bite. Mellows out with water, getting even more stony & chalky, but also emphasising the honey. Finish: Very warm, very spicy, very long. Sweeter with water. Comment: Obviously I’m hugely biased, but this really does tick a lot of my boxes. It’s a bit peaty but it’s also got some balancing sweetness, so it’s not all about the phenols. It’s a bourbon cask but I’m guessing it’s not first fill as the oak holds everything together without dominating the distillery character. 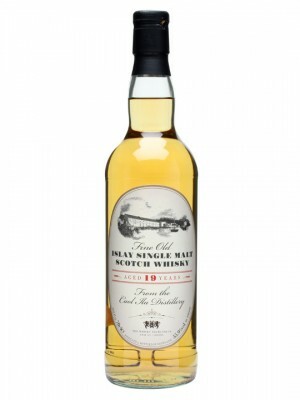 It has suitable heft and is easy to drink at full strength but also dilutes well – this is very important as it makes it a very flexible dram, can be adjusted to one’s mood and is equally at home with a drop of water by the fire late at night or at full strength in a hipflask on a cold winter’s afternoon walk. Marvellous stuff, a true winter warmer. My palate has been on a bit of a roller-coaster this year, and in trying to work out what I want to drink this Christmas I’ve had to do a bit of soul searching. Last year’s traditional ‘Big and Sherried’ approach led to the very sold out Glendronach 1995 PX puncheon, a whisky that not only kept me warm while visiting family in the wastelands of the west (Somerset) but also converted a number of whisky haters in my family to at least accepting that maybe whisky was something they should look into a bit more. On the other side of things my taste for peat has been returning of late, after a year of not being all that keen on smoke, and a couple of sherried peaty drams in my cupboard (including the last dribble of some Laphroaig PX, a whisky that is annoyingly unavailable outside of travel retail) have pointed my nose in that direction. Nose: Sticky toffee pudding, toffee apples, cinder toffee, Cadbury’s Caramel bars and a slab of spiced fruit cake hiding at the back. Taste: Oily and spicy, but easy drinking despite its strength. Stewed raisins, apple caramel, some spicy cinnamon tingling and a touch of liquorice root. With water there’s more liquorice, some dark chocolate and sweet dark wood. Finish: Long and lingering, with Fruit and Nut chocolate bars, sweet wood and hints of liquorice and apple skin coming at the end. Comment: This whisky isn’t going to change the world – it’s quite simple but does what it does really well. It’s got rich fruit, spice and a hint of liquorice astringency to cut through the sweetness. It’s got a nice intensity of flavour from the cask strength, doesn’t need water to be drinkable and swims well if you do want to cut it down a bit. Versatile but still full of stereotypical Christmas flavours – a winner. Honestly, are there any malts you bunch DON’T like????????? Because I have tasted a lot of pure rubbish out there.